Book Blurb – The Calling is a spiritual adventure. It is an encounter with the truth, the wisdom and the force that is innate to us all. At the brink of a divorce and personal breakdown, Arjun took a trip into the heart of the Himalayas, on the insistence of a sadhu, who predicted that the journey up to Hemkund Sahib would align him to his purpose and change his life forever. At every turn the mountains holds secrets and tests that urge Arjun to evolve into the person he had denied to be – himself. Pretenses, falsities, confusions and untruths fall apart as Arjun is forced to confront the mess he had created in his life. What started off as an opportunity to escape reality, turned out to be an opportunity to escape from the dwindling spiral of self-created misery. Filled with spiritual insights and sprinkled with light humor, this story will help you find your calling, your voice and who knows, even your true self. Book Epigram– This book is written in a spiritual and motivational way to describe how we create mess in our life and stuck around our karma. There comes some moment in our life when we neither realize our mistakes nor even find ourselves answerable for our own created sorrows. These griefs in life are the outcomes of the seeds that we had sown in the past not even realizing that we are doing something wrong. The writer has knitted the story around a character who had met with an accident, where he went through some experience which later changes his life. 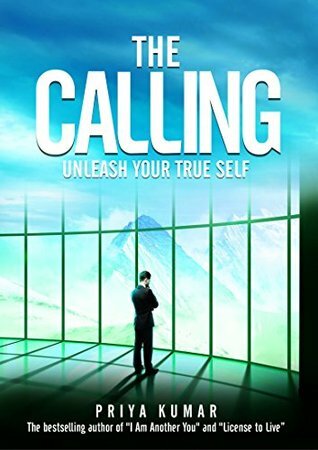 The title of the book is very captivating ‘The Calling, Unleash your true self’ and the story compliments to its title. My Critique – This story is about the main character ‘Arjun’ who is going through some bad phase of his life and met with an accident on the way to Shimla. While he was in the tranquilizing state, he experienced some supreme experience of meeting with a Sadhu which he only felt and it inspired him to visit the Hemkund Sahib to unravel a purple thread. During the way he was forced by his curiosity to meet with another Sadhu with his transporter Chandu where Sadhu indulged him on another level of karma. Arjun was bound to pass at least one out of three tests given by the Sadhu to continue his journey further to Hemkund Sahib, which he failed and had to replace the Sadhu for the Sadhna which he was doing. What are the different activities which Arjun correlates while doing his Sadhna and the different experiences he experienced are very well described. Writer has used her imagination very well that you feel as you are travelling in the Himalayas with the character. How can we made our efforts to correct the catastrophe of our life which are outcome of our past karma are well defined. What are the things which we neglect or don’t respond and later regret are learnable and worth a lesson. I really liked the way, the story is written and the writer has shared the minor issues of life. I really liked the spiritual parts which are presented with good suspense and weaved with well thought story by the author. Many congratulation to Priya Kumar on writing a nice spiritual and motivational book.